Have you ever wanted to replicate the movie viewing experience in a cinema right in the comfort of your own living room? Then you are in luck. 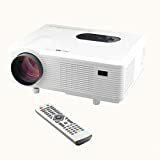 A home theater projector is used to replicate the picture size and quality of a film you would normally go see at the movie theater right in your own home. While this is its primary use, the product can also work for other means such as picture slideshows. What Type of Home Theater Projector Should I Buy? 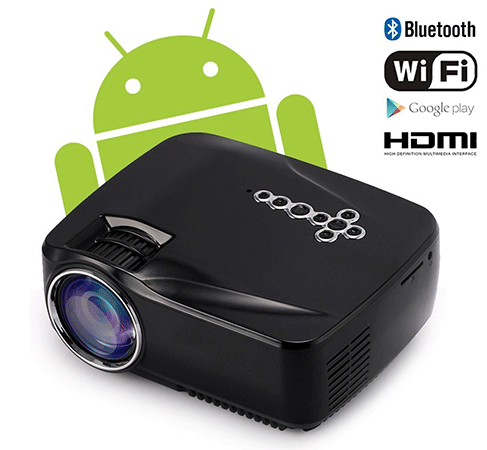 This Bluetooth projector has a built-in Android KitKat System that provides a friendly and interactive interface for buyers to use when learning how to first work their new product. The projection screen size ranges from 30-100 inches (although the best screen size is apparently at 80 inches), and projects anywhere from 2-14 feet. Very simple to activate for first timers. Has a series of ports that will allow you to connect to laptops, as well as the wireless connection the Bluetooth offers. Its portable design allows you to use it for an outdoor event if you would like that. Also, can be used for interactive games and picture slideshows. The top side of the projector is a little narrower than the bottom side, so it takes a little more adjusting than usual to get that perfect picture clear quality. 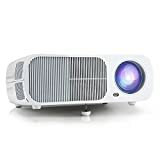 While good for interactive games and picture slideshows, this is not the projector to use for things such as business presentations or to teach students with. 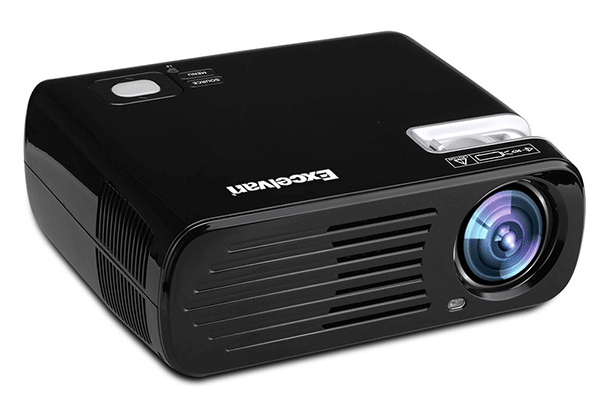 The Excelvan projector has keystone correct support, meaning that you can switch the aspect ratios of your pictures with ease. The projection screen size goes from 32-200 inches, and the device’s projection distance can go all the way up to nearly 20 feet. The Excelvan has a pretty long bulb life of two years before you need to consider changing it. It comes with a two-year warranty, and some pretty strong customer service if you ever need to get in contact with them. 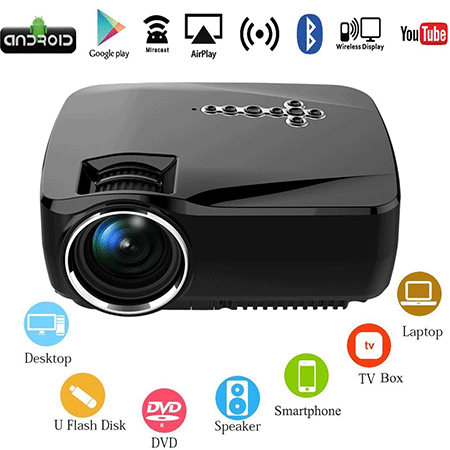 It is a very affordable projector. Comes with numerous ports for you to connect your projector to your laptop, cell phone, and more. For a “mini” the device is pretty heavy. Eventually, their fan noises can get loud depending on how long you have had the projector running. It does not have wifi, so you must have cables in order for you to connect the projector with your other devices. This project can connect wirelessly to your smart devices (such as the iPhone for example) in order for you to transfer the picture you have on these devices to their screens, which go up to 200 inches. The projection screen distance for this device also goes up to nearly 20 feet. Change the aspect ratios of your picture at a distance by using the controller that comes with the device. This projector can be put on a table, or even hung up from your ceiling as well. Can work up to 4 hours without worrying about overheating. The built-in cooling system for this projector is excellent. The brightness isn’t as strong as the previous two options but still, can see in complete darkness. The picture quality can vary. While a lot of the time you get HD quality, sometimes certain things only come in standard quality. The Oakletrea is another device that has a friendly user interface for newcomers while having a screen size that can be as small as 30 inches, or as large as 100 inches. The projection distance can go up to 14 feet, which is pretty good. Its simple set up and friendly interface make it good for beginners. Doubles over as a projector that can be used for slideshows to show at family gatherings, or even fun games that can keep a crowd of children calm. The device can be used outside. There are a series of ports you can use to connect to other devices using cables if you cannot to connect to anything via the wifi feature. This does not use Bluetooth connectivity. To get optimal picture quality, you will be required to use this in an area that is pitch black. 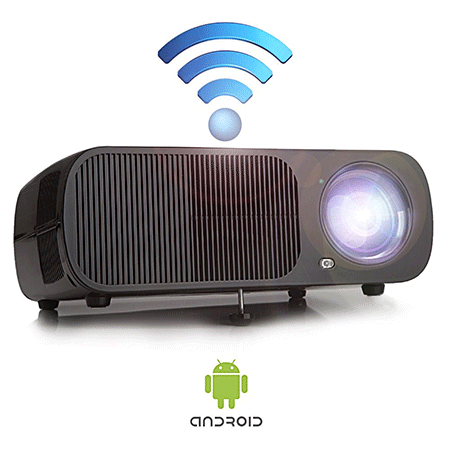 This cool home theater projector can use wifi to connect to all the smart devices that you have in order to stream the pictures from that device onto their maximum 200-inch large screens. 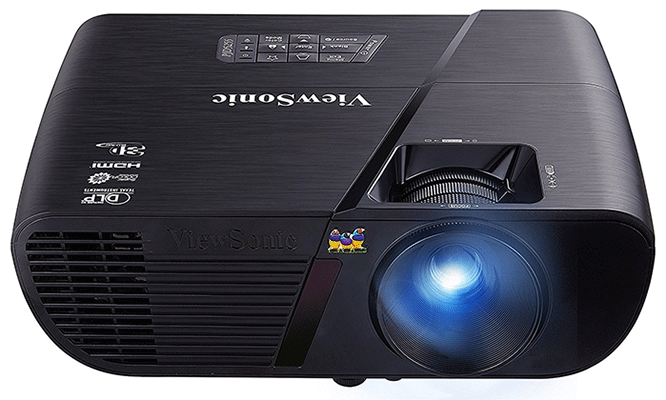 This is the type of projector that is at its best when using it strictly for movies and other forms of video. Not only does this have wifi, but it can also store and download video, apps, and games! There is a one-year limited warranty, and customer service is available around the clock. The brightness from this projector is fantastic, and you can watch things during the daytime with it if you like. Netflix and other apps run fantastically well on it. Can overheat at times if you have it running for too long. Certain images can be out of focus occasionally as well when using this to view shows. This projector is another that will allow you to log on to websites and play games as if it were a smartphone. The screen can be as large as 130 inches and has a various amount of imports that it supports (such as Wifi, Bluetooth, USB and HDMI cables, etc.). The projection distance for this product is a little over 13 feet. Can be controlled with a keyboard and a wireless mouse as if it were a computer. Simple to use even for non-technical users. Strong sound with excellent resolution. The Bluetooth feature can be a little buggy at times. The wifi sometimes can connect and disconnect randomly. 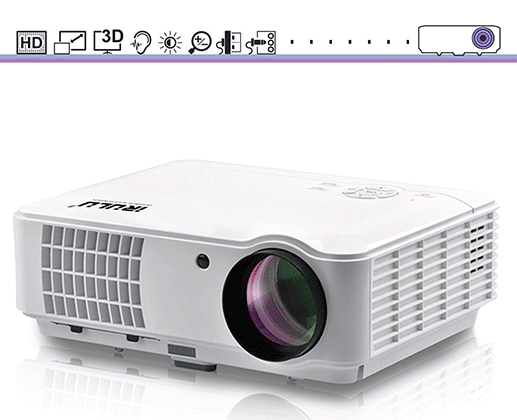 The Epson is a uniquely designed projector that has a screen range of 76 inches from 8 feet, and 113 inches from 12 feet. The brightness that the Epson provides is pretty high quality as well, and the keystone correction allows you to change the aspect ratios of your projects or movies with ease. There is a 2 year limited warranty for this projector. Nice and clear images even at maximum screen size. Its portability makes it useful in multiple areas. While there’s keystone correction, there is no lens shift. The lifespan for the bulbs is not as long with this projector as it is others. The title of this projector makes things pretty self-explanatory. The LESHP has the most up to date LED technology, which means the brightness is superior to some of the other models that make up the list so far. The projection size is up to 200 inches, while the picture quality is at its peak from a distance of 13 feet. Portable design makes it good for when you need to bring it along with you. Is watchable even during the day. 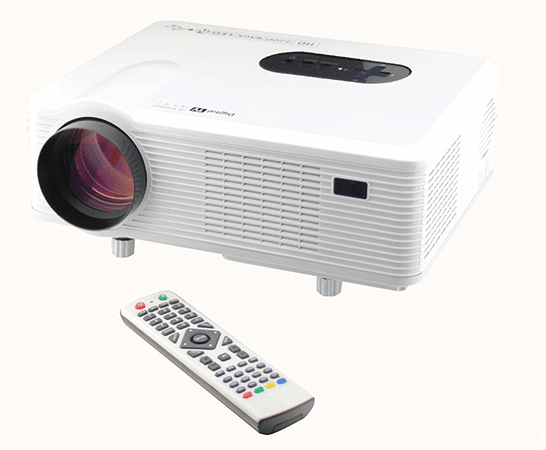 While praised especially for presentations, the picture resolution for movies is not as strong compared to other projectors. A little tougher to adjust the aspect ratio of your projections than it is on other projectors. 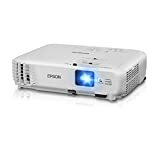 This Epson projector has superb picture quality while also ranging from up to nearly 20 feet distance wise when delivering your projection. It has keystone correction just like the Epson product that came earlier. Can project things indoors and outdoors. The sound is okay, but could be better. 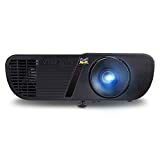 Another Excelvan product, this projector comes with very strong light for optimal brightness while also boasting about its eco-mode that allows you to save money and power. The lifespan for the bulb is phenomenal (5 years)! The colors can be off when first turning it on. Can go in and out of focus when adjusting the picture. This iRULU projector comes with full HD color and a friendly interface for users who are not as technologically savvy as others might be. 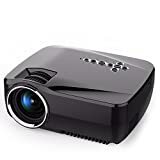 What makes this notable is that it can also connect with different types of audio through the use of the various ports the projector has to offer. It can be tough to routinely update the android interface. This projector offers some of the richest colors on this list when it comes to picture quality. There are several view settings that also make it good for multiple usage scenarios. Finally, it has a strong amplifier that makes audio great. Connects to smart devices with ease. While loud indoors, you’ll need speakers if you use it outside. Can be tough to adjust the picture when it goes out of focus. Some have reported issues with the remote. 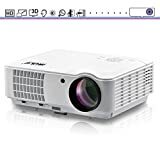 This Epson projector once again shows off high quality picture, and also improved brightness from the previous two Epson projectors on this list. 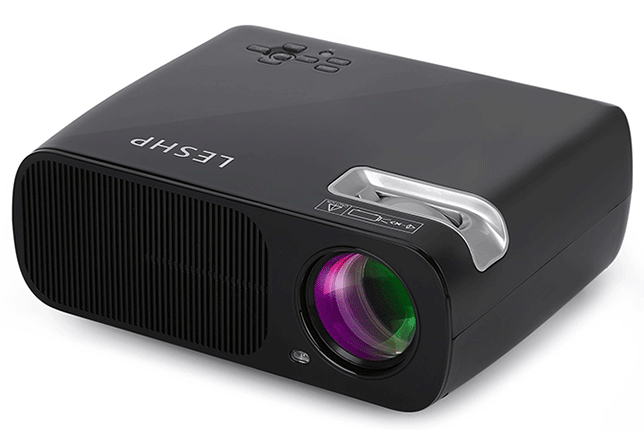 What’s cool about this is that, with some 3D glasses (sold separately), this projector will allow you to enjoy three-dimensional entertainment. You can watch things during the daytime with this projector. The projector can get loud after being used for a while. Once in eco-mode, the sound and picture quality decrease a bit. 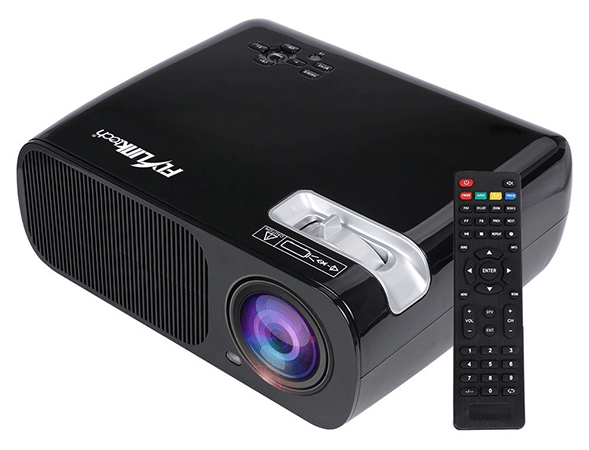 With strong audio, high picture quality, and its portable size, it is no wonder that this iRULU projector has made it to the top two of the list. The two-year bulb lifespan also helps the projector solidify its spot here. Small size makes it easy to place it wherever you need to. There can be syncing issues with your laptop sometimes. 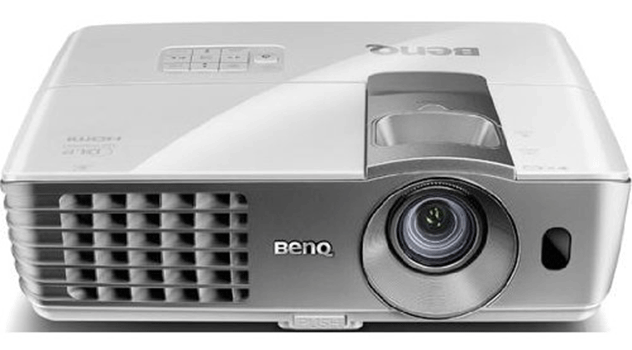 This projector from popular brand BENQ has a wide array of features that include 1080p resolution, a 3D projector for viewing pleasure, and HDMI ports for gaming. With its multiple features, it makes sense to put this at the top of the list. Best picture quality on the list. The size of your room, the amount of space you have in your room, and the price are a few factors that you will want to take into consideration before buying a product such as this, but they are not the only ones. 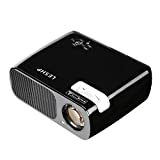 You should also know what type of projector you want (DLP and LCD), the aspect ratios, brightness features, and optimal resolution quality you want the projector to have before you make the decision to buy one. This concludes the top choices for home theater projectors! At the very least, we hope this article has helped you decide what type of projector you want (is it for gaming or viewing pleasure? ), or at the very least has gotten the wheels in your mind turning. Good luck searching reader!